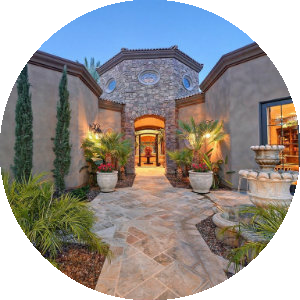 Equestrian Manor of Arizona is one of two subdivisions in this guard-gated community in Scottsdale. Equestrian Manor began as a single equestrian estate. Paradise Manor Estates was established entirely in the Equestrian Manor subdivision. The homes in this community were built from 1975 to 2017. But by the 1990s, the homes began to replace the stables. These homes became Paradise Manor Estates. Equestrian Manor is located on Cactus Road between 60th and 64th Streets. This lovely community has the advantage of a great location as well as being close to many fun things to do. Because of its location so near the desert, there are the many outdoor trails for either hiking or horseback riding. Just down the road is the Kierland Commons, which is an outdoor lifestyle center. It is a combination of retail, entertainment, and dining. There are some 70 specialty stores to delight the ardent shopper. There are also some highly ranked restaurants with a variety of cuisine, sure to please everyone. Another close place is the Scottsdale Quarter in downtown Scottsdale, easy to access by the nearby Loop 101. There you will find an outdoor mall, great stores, and popular restaurants. Within the gated community, there are outdoor family nights and a popular fountain where the children love to play. Real estate in this exclusive community is southwestern style homes on cul-de-sacs with beautifully landscaped yards. The lots average around 35,000 square feet. The homes have three to seven bedrooms, with living space ranging from 2,806 to 13,700 square feet. The homes feature open floor plans, high ceilings and travertine and wood floors. The homes are designed for entertaining, with kitchens opening into a large family room. Some of the homes have casitas for guests, and some have pools. 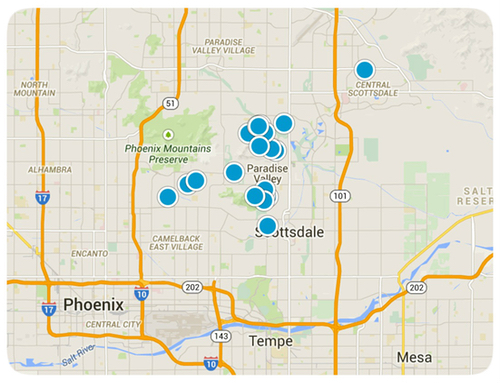 Students attend the Scottsdale Unified School District, although there are private school options available. 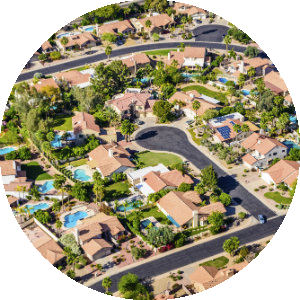 With the beautiful homes, the lovely secluded feel of the community, and the amenities easily available to residents, this is a must consider destination for home buyers searching in the Scottsdale area. 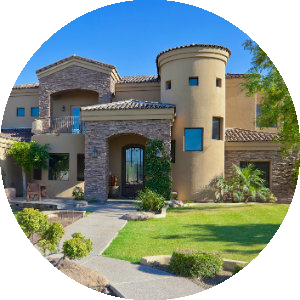 If you would like more information on homes for sale in Equestrian Manor in Arizona, please contact us today and allow us to assist you.